A compact, high-performance all-wheel-drive Rider with power steering that easily manages large, tight and hilly areas. The unique XChange attachment frame allows you to change attachment quickly and without the use of tools. Thanks to Bluetooth connectivity, you easily monitor your Rider with the Husqvarna Connect app. Equipped with dual LED lights, Turn Key Start, adjustable steering wheel and an (optional) cargo holder rack, R 419TsX AWD is an excellent choice for private estate owners, sports facilities and hotels with large areas to maintain year-round. 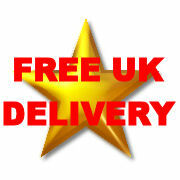 You can telephone us on (01751) 475666 to arrange. Direct line to Machinery Centre. Write a review about "Husqvarna Rider R419TsX AWD LawnMower With 103cm Combi Deck (Optional 112cm Deck)"
We want to know your opinion! Write a review about the product “Husqvarna Rider R419TsX AWD LawnMower With 103cm Combi Deck (Optional 112cm Deck)” and win a National Gardening Gift Voucher of £25 ! Are you looking for the product "Husqvarna Rider R419TsX AWD LawnMower With 103cm Combi Deck (Optional 112cm Deck)"? We offer this product in our garden centre in Pickering, North Yorkshire. 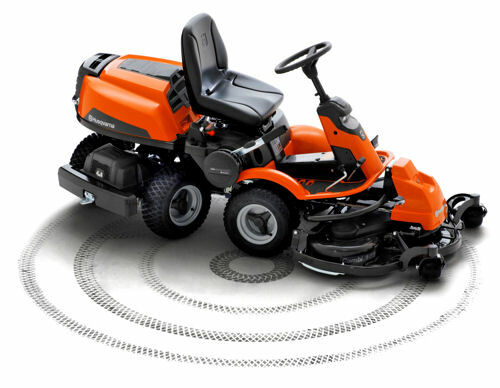 You can order the product "Husqvarna Rider R419TsX AWD LawnMower With 103cm Combi Deck (Optional 112cm Deck)" online or you can visit our garden centre in Pickering, North Yorkshire or for more information about the product "Husqvarna Rider R419TsX AWD LawnMower With 103cm Combi Deck (Optional 112cm Deck)". We look forward to seeing you soon!